Fadad Fazil and Nazriya are going to tie the knot today (August 21) in Thrivananthapuram . Nazriya and Fahad, the son of director Fazil have done a few films together in Malayalam including the recent super hit ‘Bangalore Days’. They got engaged earlier this year. Nuke (Wedding) will take place as per Islamic rituals at 12 noon at Al-Saj Convention Centre in Kazhakuttam, Thiruvananthapuram. Prior to the wedding the traditional ‘Mylanchi’ function was held. It was attended by actress Meera Nandan, a close friend of Nazriya. Post their wedding Fahad and Nazriya will start their conjugal life in a Alappuzha home that was built when Fahad was a school going child. The house has been given a new makeover suiting the needs of the new couple. 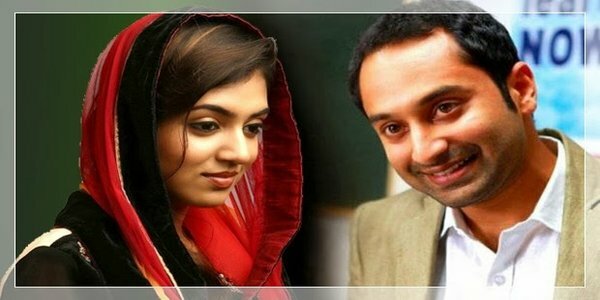 The grand wedding of Fahad and Nazriya will be attended by Family and Friends and also the friends from Film Faternity. Fahad has given a break in his tight acting schedule for the wedding while Nazriya is unlikely to in films post marriage and would take a call on whether or not to act at a later time.